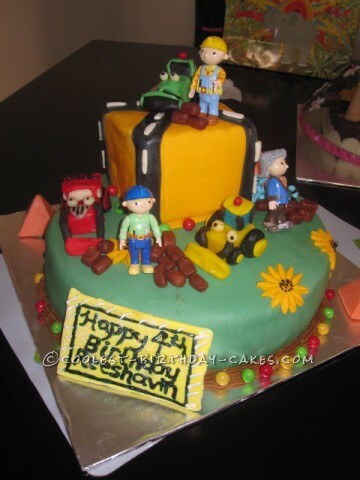 My son’s 4th birthday was a construction theme and Bob the builder was his favorite show so I tried to incorporate him into the construction theme. The trucks were made from chocolate and it was my first attempt using modelling chocolate. The main cake was vanilla with strawberry and buttercream filling. The little man loved the cake and his party! My inspiration for this wood working cake was my father-in-law, it was for his birthday.